Print spooler is a very important service that provides the proper work of the printer, connected to a PC. This service connects the print queue with the printer. If print spooler service does not work properly, then a user will not be able to print anything. There are different errors of this service. 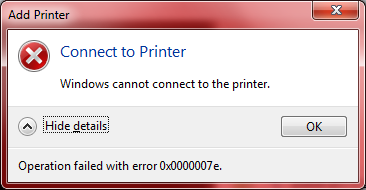 The most common error is when print spooler keeps stopping in Windows 7 and Windows 8. It can happen even on other version of Windows from Windows 2000, but this article will solve print spooler problems for two last versions. If you would like to read another article about Print spooler keeps stopping error, then you are welcome to follow the link. This program will solve all the problems with print spooler for Windows 7 and windows 8, no matter what the reason of them is. If you want to use some manual instructions, then you can find them in this article also. Some experts advise to use special Hotfix981070 by Microsoft. You can try it also, and may be your problem with print spooler will be solved. But unfortunately, according to my experience, this program helps not in every case. Printer Spooler Fix Wizard has better statistics. Some users got used to solve their computer problems with their own efforts, using some manual methods. Frankly speaking, any manual instructions are rather hard to perform, but I will try to explain every step for you. So, follow the items of instructions if you want to solve print spooler windows 7 or windows 8 print spooler keeps stopping errors manually. Click Start button, then type Services.msc in the search programs and file field and wait for the results. When you will see the found Services.msc, then you should click it. You will see the opened list of services, where you should find Print spooler service and double-click it. Click Stop, then click Ok.
Click Start button again, then type %WINDIR%\system32\spool\printers in the search programs and file field and wait for the found results. Then double click Printers folder and delete all the existent files there. Click Start button and type Services.msc in the search programs and file field again. Open the found services list and double-click the print spooler service to Start it. When you will click Start in the opened window, then you should Ok. In order to open the needed menu, you should right-click the lower left corner of the computer screen. After that you should click Search, then Settings. Find the Search box there and type Services and wait for the found results. After that you should click the found View local services item. Find the Print spooler in this list, right-click it and select Restart, to restart this service. If you want to read another article in order to learn how to restart Print spooler on your PC, then you can follow the link. Printer Spooler Fix Wizard was created by Security Stronghold LLC, this program will 100% help you in the cases when nothing helps.